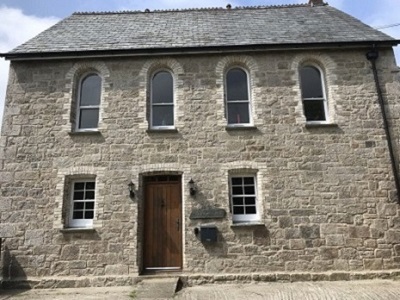 Our Team, at Leslie Cornell Building Restoration Ltd, take immense pride in all of the services we deliver to our Clients throughout Cornwall and the Isles of Scilly. From the initial Site Visit to the completed works, we strive to provide a first-class service through our honest and sympathetic approach to the conservation, preservation and restoration of historic buildings. Please find below a sample of the Testimonials we have received from our Clients, which we hope will give you the reassurance you need to engage with us. 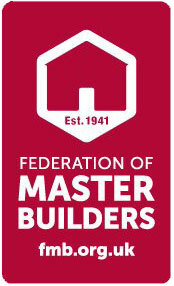 Alternatively, you can visit the Federation of Master Builders for our Customer Approval rating. Leslie and team are true craftsmen. They are experts with Lime and are also willing to learn new skills in building restoration. They are reliable and trustworthy and go beyond what is expected. Their work is sympathetic to the character of a building and I am delighted with the work they have undertaken on my property. I was very impressed by Leslie Cornell Building Restoration Ltd.’s service. 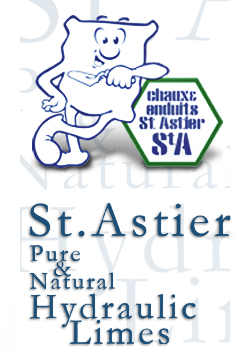 The work, the communication, the professionality, the friendly guys and cleanliness were the best I have had to date. I’m self employed and have done a few renovations on houses myself over the years, and you guys are head and shoulders above the rest so far. Leslie Cornell was a pleasure to work with, and we are delighted with the work that they have completed on our property. The entire village commented on how hard-working and efficient the team was, and on how wonderful the finished repointing looks. They have been unfailingly accommodating and professional, and we look forward to continuing working with Leslie and his team on the remaining part of our project. We would highly recommend them to anyone looking for a building company specialising in traditional materials and historic buildings. We contacted Leslie Cornell to repair a ceiling in our property. We were very impressed by the service, which was prompt, courteous and reliable. The quality of the finished work was excellent. 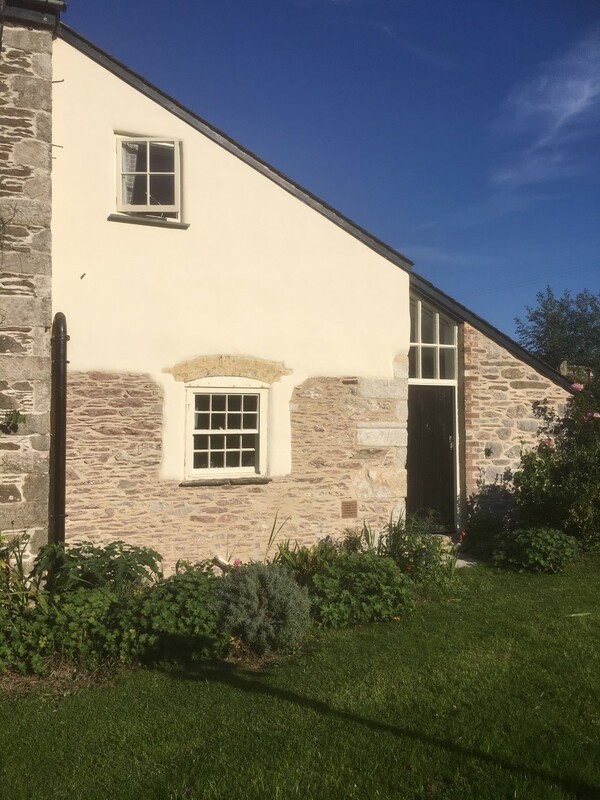 The exterior of our cob cottage needed redecoration and some repairs since the last Lime wash, which has not lasted well. I contacted Leslie Cornell and arranged for a site visit and an estimate to be sent to us. Bear in mind that Leslie was working with us at a 5,000-mile distance, and also had to schedule the work some months in advance so we could be present during the project. All this was accomplished very smoothly with thanks to his email communication and the input from the office manager. Leslie advised us to use a mineral paint system which would last longer, and also allow the cob to breathe. In spite of a downturn in the weather in September and October, the redecoration was finished within our timeline. We are pleased with the final results and have received many compliments form our friends and neighbours. 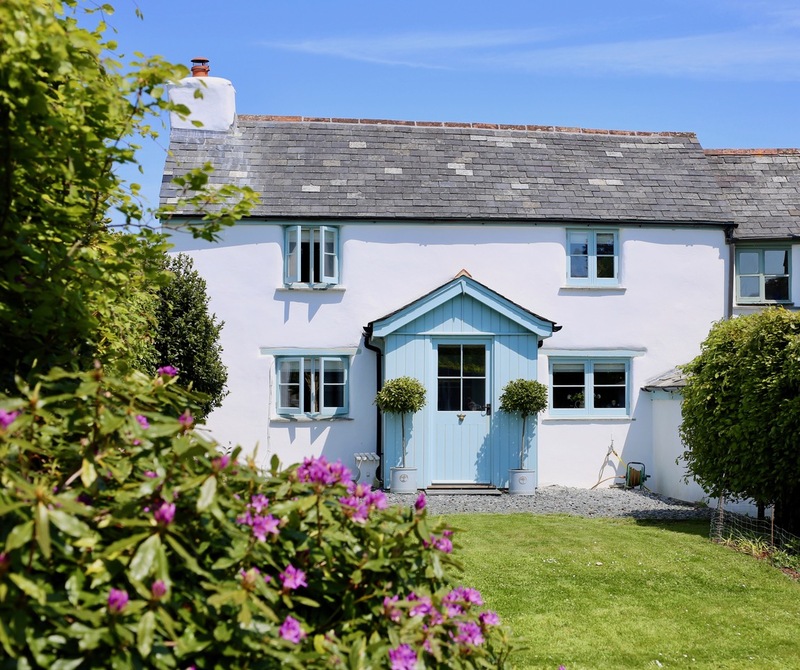 We own a 200 year old farmhouse in South Devon. Mr Cornell came to visit our property within a week of us making contact. He was clearly very knowledgeable, listening to our concerns and making helpful suggestions. When the time came, seven workers arrived and set about the work with great efficiency, making rapid progress. The workers were all polite and very respectful of our property, flowerbeds and carpets. There were no blaring radios. Mr Cornell did both the work and supervised the quality of the work. The job involved removing worn out old pointing and rendering and replacing it with new. 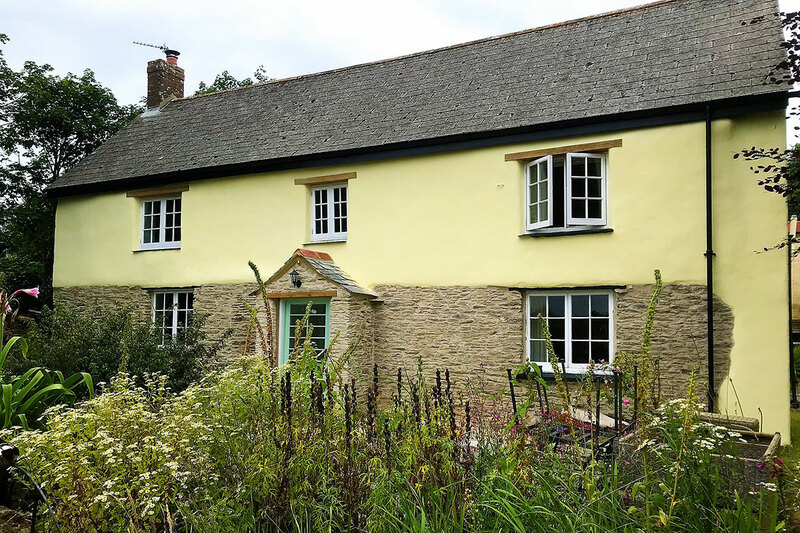 When the render was complete he advised us on how to look after it in the first few weeks. We wanted to paint the render ourselves. He advised on paints and exactly how to complete the three-stage painting process, sending an idiots guide in plain English to ensure I did it correctly. He even advised on some artistic touches. We are very pleased with the results and would have no hesitation in recommending Mr Cornell and his company. Once again, we contacted Leslie Cornell Building Restoration Ltd about issues in our old house. They had previously Lime pointed the stone work on the outside of our property and Lime plastered the living room wall. This time, we needed the bedrooms to be Lime plastered on one wall. As ever he was quick to come out to see us and accommodating of us when we requested the work to be completed when we were away. I would always recommend Leslie if you need any work done on an old property. He has a wealth of knowledge and the work he completes is of an incredibly high standard. Thank you! Leslie and his team were extremely professional. What impressed me most was that they were friendly, courteous and kept to schedule. After Leslie had quoted for the work he produced a detailed schedule as to what was to be done and when, this he stuck to. Even if he was running ten minutes late I would receive a phone call stating that he was going to be a little late. All work was done quickly, professionally and with minimum fuss, nothing seemed too much trouble. We are extremely pleased with the end result, it’s totally changed the character of our house and it looks gorgeous. I would have no hesitation in highly recommending Cornell Cob, utterly brilliant. We have other restoration projects in mind and I will be contacting Leslie and his team to do the job in the future. 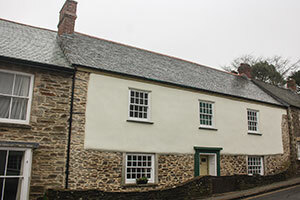 Our Listed cottage in Cornwall needed major damp problems addressing. 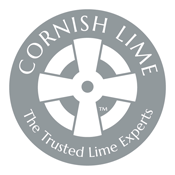 We researched cob specialists in Cornwall, on-line and had several quotes. We were very impressed with Leslie Cornell's knowledge and passion for historic buildings and felt we were in safe hands. Leslie and his team arrived each day with enthusiasm and worked with good humour. Leslie was always just a phone call away if we had any worries or needed advice. The project was finished on time and within budget. We would absolutely recommend Leslie Cornell Building Restoration Ltd, and almost wish we had it all to do again, just to have them back! Two years ago, we contacted Leslie Cornell to repair our internal walls. It needed a specialist in Cob & Lime restorations. They had done a superb job. Earlier this year, we contacted Leslie and his team to address the external walls this time. We knew Leslie would provide the best advice as to what needed to be done to repair and give a new face lift to our old cottage. As before, they have done a fantastic job and very timely. The site was always tidy, the crew always on time and the updates were regular (via photos). Leslie also undertook the co-ordination of the scaffolding and the roof repair, which saved us a lot of additional logistics and co-ordinations. We are extremely pleased with the work and would definitely recommend Leslie Cornell and his team. Our cottage looks amazing inside and outside! Leslie Cornell repointed, with lime, a portion of the front wall of my listed Georgian farmhouse. This was described as excellent by the County Listed Buildings Officer. I then instructed Leslie to complete the job which was carried out quickly as soon as the weather permitted. I am very pleased with the final result. The workmen were polite, and I found Leslie approachable and easy to deal with at all times. The cost was similar to what other builders quoted. Thank you for the fantastic job you and your team did on the front of our cottage we are so pleased. Communication and efficiency of the work carried out was excellent. After a harsh winter my garden wall was looking shabby with gaps appearing and failed cement flaking off. My neighbours expressed concern that it might collapse. The stone wall is over a hundred years old, so I needed expert advice. I contacted Leslie Cornell Building Restoration Ltd who promptly came to inspect the wall. 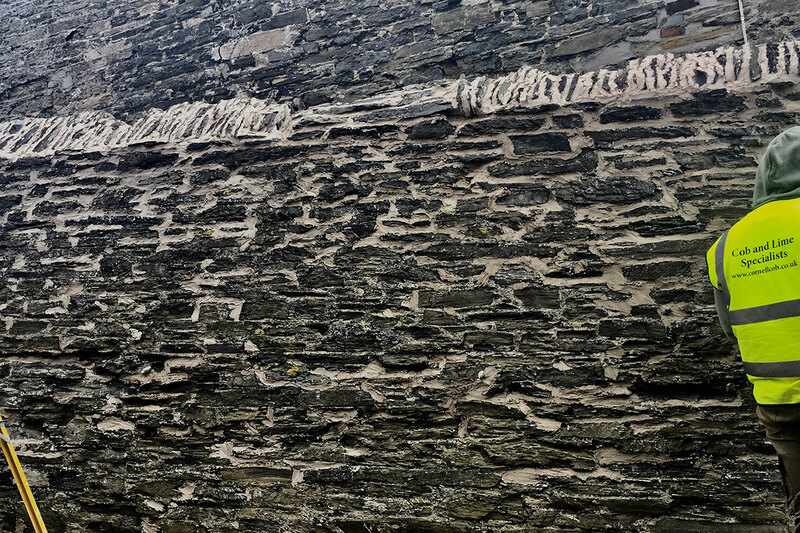 Leslie was immediately very reassuring and explained that the wall could be restored by patching and repointing, using an appropriate Natural Lime/sand mortar. I happily agreed to this and very soon Leslie Cornell and a team of six men started preparing the wall, mixing mortar and repointing. The finished result is truly spectacular. Neighbours stop to thank and congratulate me. They feel, as I do, that this beautifully restored wall will be a joy to behold for many years to come. I’m very grateful to Leslie Cornell and his splendid team for their expert workmanship. 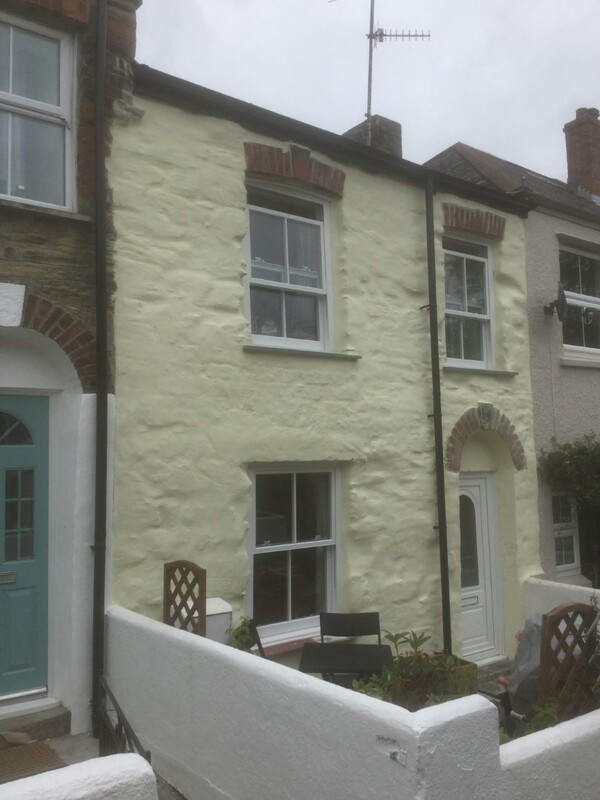 My gable end wall had been rendered in cement and painted white. Over the years, it had discoloured and was peeling off. 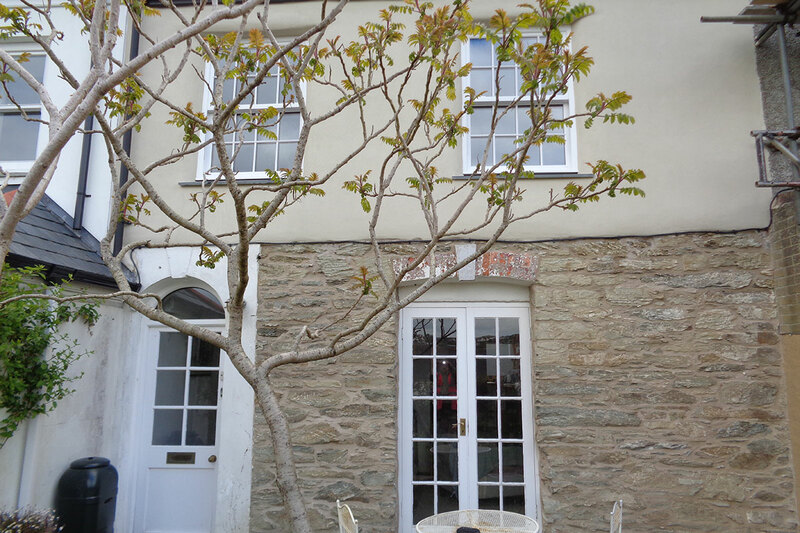 Mr Cornell and his team removed the cement render, and repointed the stonework with a lime mortar. I think it looks beautiful now. He is very knowledgable about his craft, professional and efficient. The site was left tidy at the end of each day. I will be using the company again to deal with the inside of this wall, which has old dry lining and suffered from condensation damp because the wall couldn't "breathe". I can thoroughly recommend Leslie Cornell Building Restoration Ltd..
Dear Leslie, Thank you very much for your quotation received today. May I firstly say how impressed I am at the speed at which you have produced this quotation, and also the detailed layout within. I congratulate you! This matter will be discussed at our next meeting (this month), you can be assured. However, I believe Sue and Marcia, who you met, did indicate to you that we do not have big congregations and lots of funds. Nonetheless, very interesting. 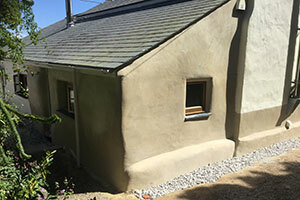 The Cob Specialist work carried out on my cob cottage was superb and undertaken promptly and efficiently. I really felt Leslie Cornell Building Restoration Ltd went the extra mile to complete the work to such a high standard. I cannot tell you how thrilled I am with the results. Thank you for doing a beautiful job. 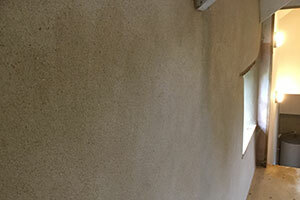 The company did Lime Plastering work for us on a thatched, cob cottage in Cornwall. Leslie gave us very useful advice and the team did a great job. They were all courteous, efficient and highly professional. 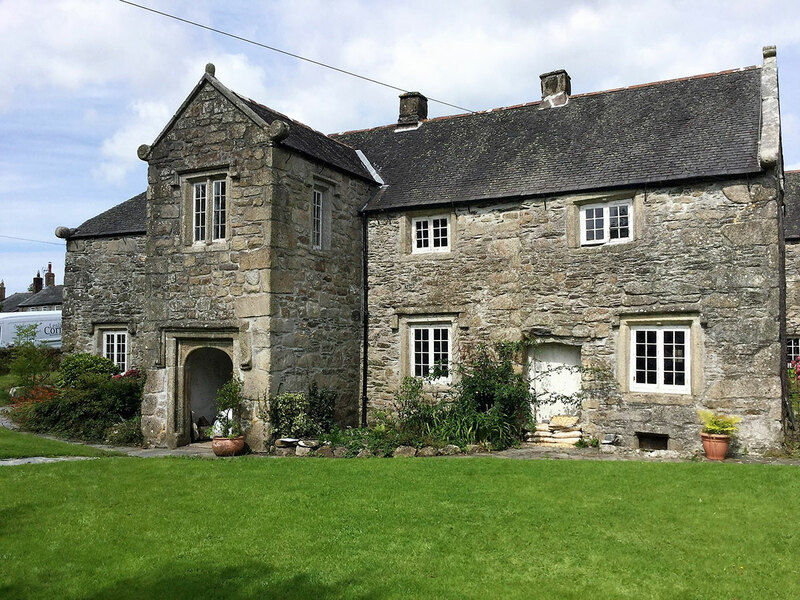 Our experience from start to finish was a good one and we have no hesitation in recommending Leslie Cornell Building Restoration Ltd.
Before we bought our house, the building survey identified that we would need to have the exterior re-pointed along with some other measures to manage damp and the building’s breathability. We began doing research into options for both the internal and external walls of the house and we were advised to focus on the exterior before tackling the interior. 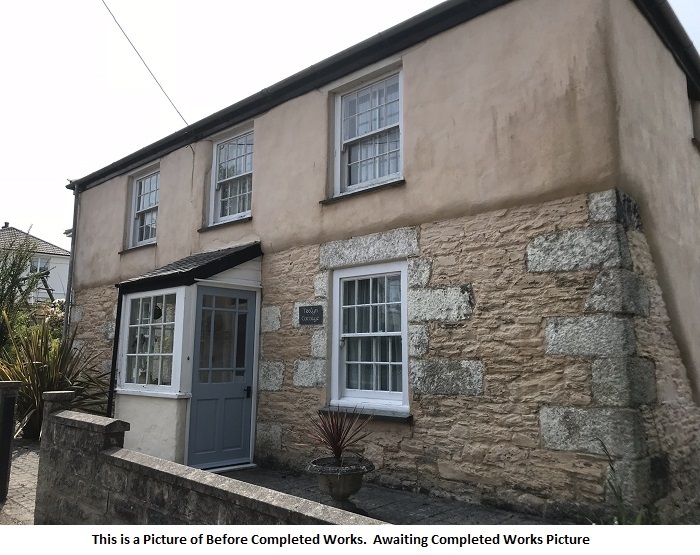 Leslie Cornell Building Restoration Ltd were recommended to us by Cornish Lime and we asked them to quote for doing the pointing work. From the outset it was clear that choosing Leslie Cornell Building Restoration Ltd was the right route to go down; the response was prompt and came with in depth advice and recommendations about what the best course of action would be. One thing that struck us about Leslie’s response in comparison to other quotes was his attention to detail, which put us instantly at ease that the job was in safe hands. Prior to work being carried out, communication was regular and any questions that we had were answered very promptly. During the work Leslie kept in regular contact with updates, which again gave us complete peace of mind. His team were polite, tidy and considerate at all times. The work was carried out with meticulous attention to detail, with Leslie himself regularly being on site to check the quality of the work being carried out and to discuss progress and any concerns that we had in person. Leslie and his team were also extremely obliging; going above and beyond to help us where other issues and trades were concerned. We are delighted with how the house now looks and the quality of workmanship; the house has been transformed. It has been a pleasure having Leslie and his team on board. We could not recommend him highly enough. We were recommended to Leslie Cornell Building Restoration Ltd by neighbours who were pleased with them. We asked Leslie to inspect our house where we had damp penetration. 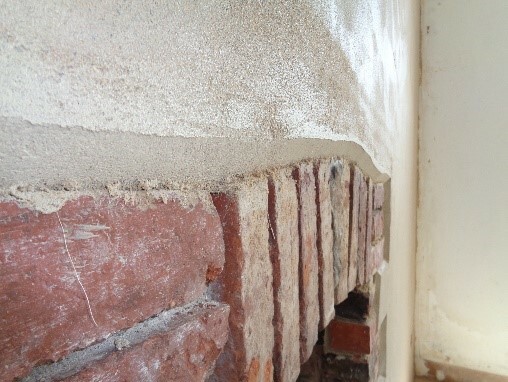 It was due to faulty render which had to be replaced carefully using a lime mixture. The firm fixed a date for the necessary scaffold to be erected and all was done on time and on the exact dates we had agreed. As well as their obvious skills, the men were tidy, helpful and friendly. 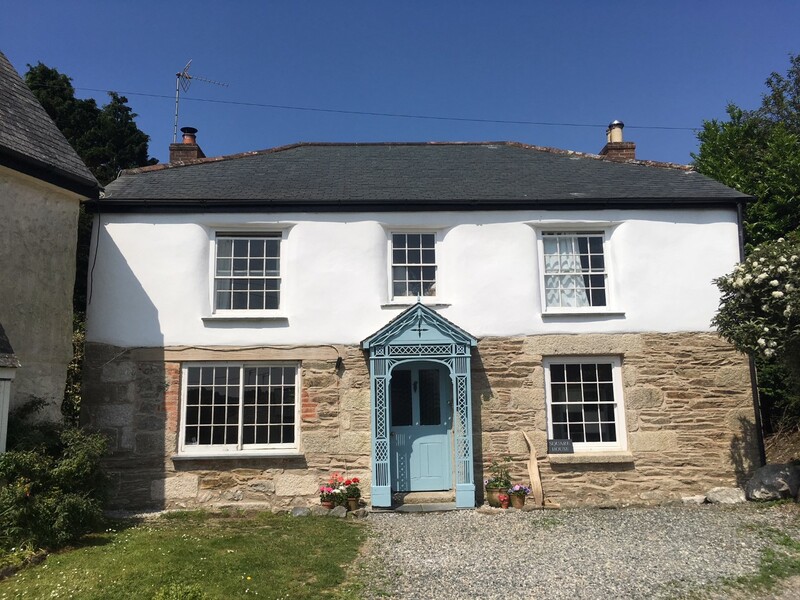 We would not hesitate to recommend Leslie Cornell Building Restoration Ltd to anyone else, particularly those with older types of Cornish houses. Having dealt with Leslie Cornell Building Restoration Ltd previously, we knew they were the right people to re-plaster our internal wall. They very quickly removed the plaster that was on the wall and found the original fireplace that had been hidden for a long time! We chose to keep the fireplace as a feature and due to their expertise, they could replace bricks, with ones they make, that had been damaged. They gave us different options on how to finish the wall and were available to talk through which would be best. As always, they were easy to have in the house. The final clear up was brilliant, which isn’t easy when dealing with plaster dust! Thank you for putting life back into our living room! 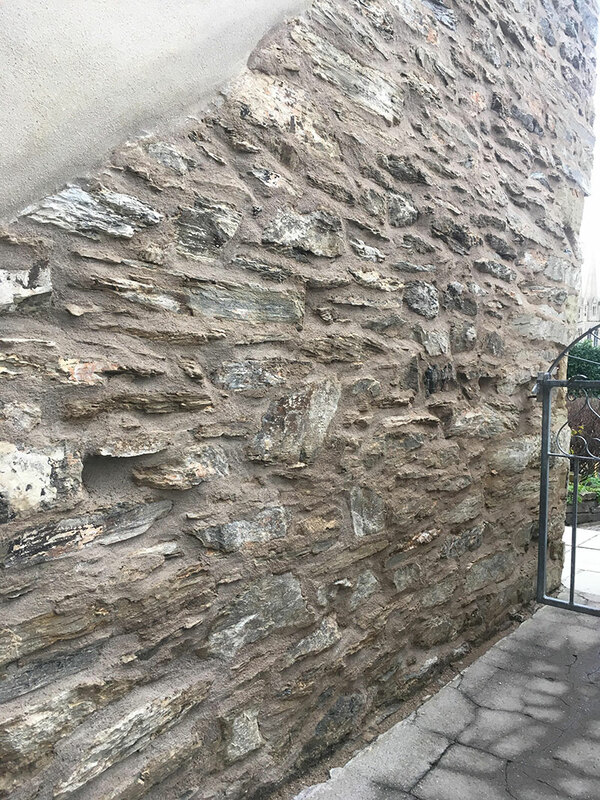 We wouldn’t hesitate to recommend Leslie Cornell Building Restoration Ltd. We bought a Georgian end of terrace house with an original garden wall that was seriously deteriorating and had been badly patched up in the past with cement. They restored it with a lime bag rub repair with original slate and ridge tile top using beautiful locally sourced reclaimed materials. They managed the listed building application for this and from start to finish their work and professionalism was of the highest standards. Their attention to detail, enthusiasm, skills and good humour (despite extremes of weather) were exemplary. The results have exceeded our expectations and we are delighted. For any other work on our property, we willlook no further. 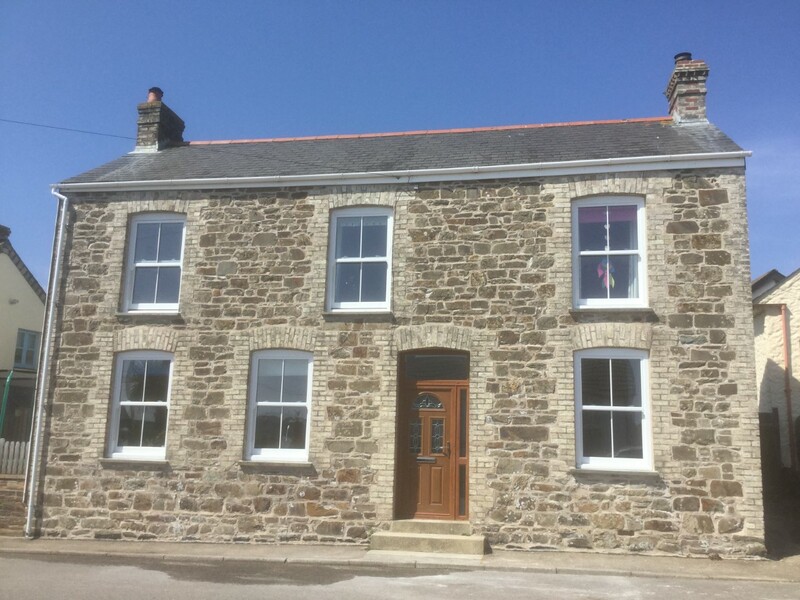 Leslie Cornell Building Restoration Ltd are our ‘Go-To’ builders in Cornwall. They are proficient, meticulous, exceptionally reliable, and have integrity. The whole team are professional, knowledgeable, respectful and have a high standard of craftmanship. More importantly, all of the Cornell Team works well, cleanly, swiftly and are a pleasure to deal with. They are passionate about using cob and maintaining the health of cob buildings. Having managed old properties in Britain and abroad, I am quick to criticise and hard to please. I could actually relax when the Cornell Team was on site. Our old house is now very happy that Leslie has given it a new life, and so are we. I’ve been really pleased to work with Leslie Cornell and the team at Leslie Cornell Building Restoration Ltd over the last two years. I called Leslie as I wanted advice on how to care for a cottage that needed some TLC and I thought had some cob structure. I knew this needed to be repaired by a specialist. Leslie came and assessed the property with me, and shared his knowledge about the building structure and then put forward a programme of repairs. Leslie organised all the works, including repairs to the roofing which another local team undertook. As the property had tenants living in it, the professionalism of Leslie’s team was particularly appreciated as no inconvenience was reported. I have been very pleased with the swift and clear communications, and that Leslie’s team have been prompt in dealing with issues as they have arisen. I’ve been delighted with the work and look forward to working with LCBR again. Leslie Cornell Building Restoration Ltd was superb in meeting all challenges of restoring a Grade II* Listed 18th Century former storehouse in the remote and windswept Isles of Scilly. Leslie Cornell clearly has considerable expertise in all aspects of historic building restoration. 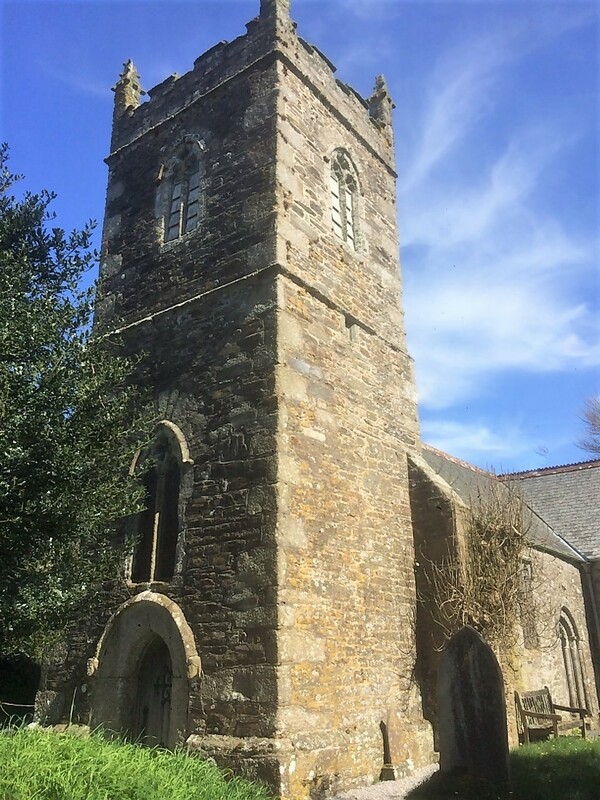 We were very impressed from the start and throughout the project at their dedication and commitment to ensuring that all restoration work was sympathetic to the historic nature of the site. Leslie Cornell Building Restoration Ltd did everything – from drawing up and submitting the application for Listed Building Consent, navigating the complex logistics of transporting the team, materials and equipment to and from the islands, undertaking external and internal repairs to walls and windows, flues and waste pipes, organising and coordinating scaffolding, roofing and carpentry, to the completion of works (including making sure all evidence of their activity was removed from site) within our timeframe, in spite of inclement weather isolating the islands for days at a time – all with good will and excellent level of hard graft and professionalism. We knew from our first meeting with Mr Cornell that we could trust him implicitly; this was particularly important to us as we knew we would be off site for most of the three-month project, except for two very brief site visits. The quality of their workmanship is excellent and we were also delighted to see Leslies' expertise, skills and ethos being passed on to hard-working apprentices. Leslie Cornell Building Restoration Ltd has our highest recommendation. 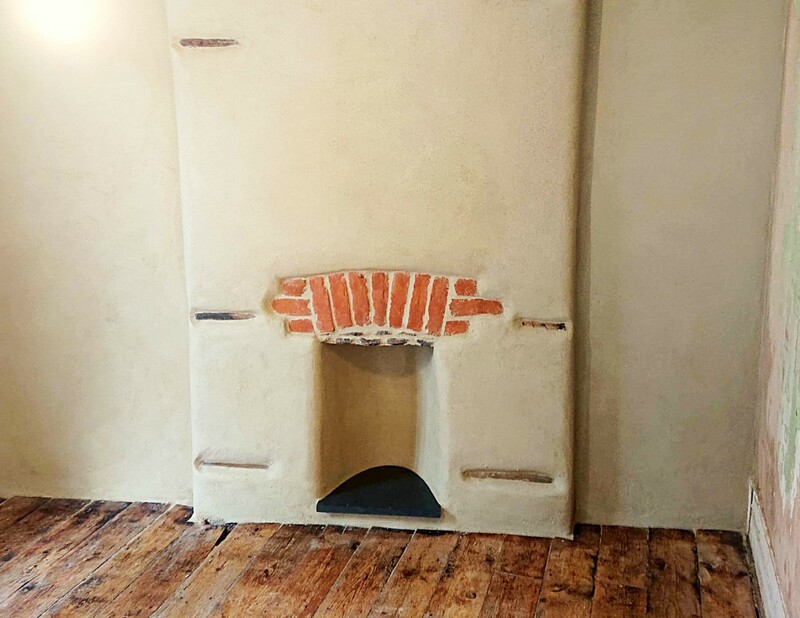 ‘We were really pleased with the Lime Plaster finish in our living room, and love the fact that if the walls get scratched or marked it is really easy to re-lime the surface. We haven’t had any damp issues since we had the living room Lime Plastered, despite a really wet winter. Leslie Cornell took time to visit the cottage and meet with the architect before providing us with a very detailed tender. Our architect was impressed with the attention to detail at this early stage and after we met with Leslie Cornell on site we were too and so elected to go with Leslie Cornell Building Restoration Ltd.
Leslie and team are professional, courteous and hard working. Whilst the project has taken longer than anticipated, partly due to the nature of the materials being used in the restoration and partly because both we and Leslie wanted to get it right, the result has been superb. 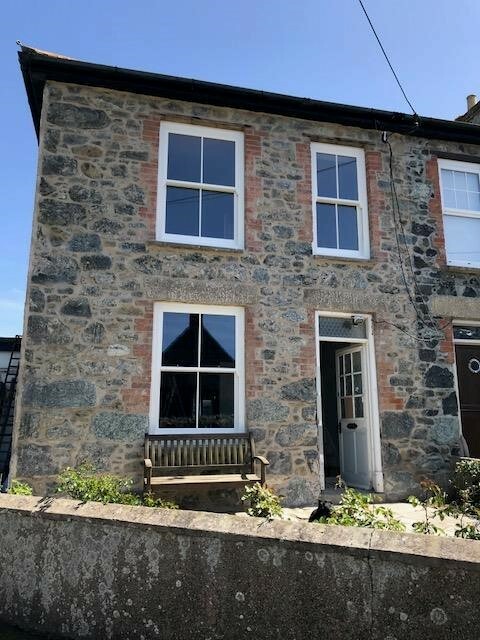 The restoration of our cottage has been extensive with the complete removal of the floor joists and floor boards, all internal and external render and pointing, re-wiring and replacement of plumbing. Leslie Cornell considered the implications of each component and made suggestions to solve any minor problems, whilst keeping true to the historical fabric of the building. 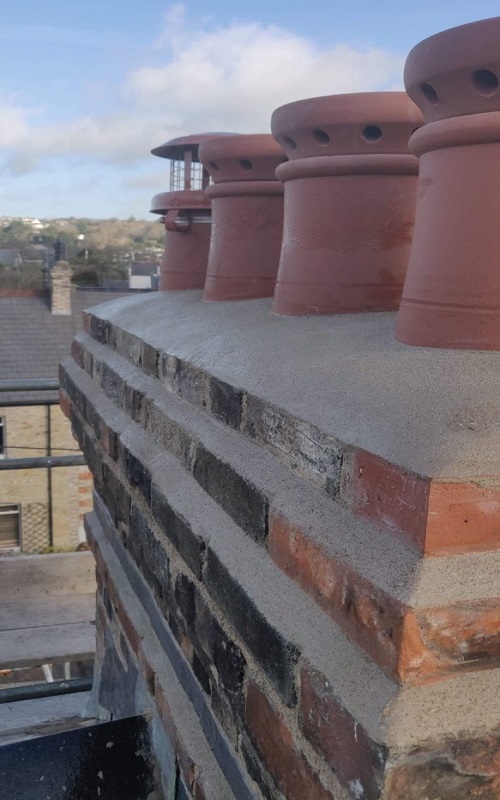 The expertise and enthusiasm for Cob and Lime work is plain to see and translates to an incredible high quality of work and attention to detail. Their work and approach to getting the best out of the building is to be applauded. They also took time to talk with our neighbours and keep the site clean to minimise any disruption to everyone in our village. I contacted Leslie Cornell Building Restoration Ltd to enquire about having the front of our poorly cottage fixed. I have little knowledge regarding the process that is necessary to rescue our cottage but was under the impression that a lime application would be of benefit so contacted Leslie Cornell Building Restoration Ltd after discovering their company on Google. Leslie contacted me promptly and he was polite and helpful. Leslie arranged a site visit for just a few days later and he was a pleasure to meet. He is clearly very experienced with cob walls and historical properties, and displayed a passion for this area. Leslie was knowledgeable and explained everything clearly to me. 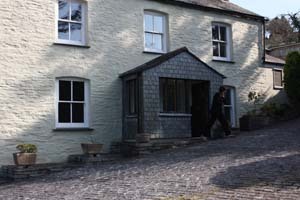 Leslie was thorough and understanding of our cottage with its’ needs during the site visit. I would have no hesitation in recommending Leslie to visit any site to share his valuable expertise, particularly where stone and cob are concerned. 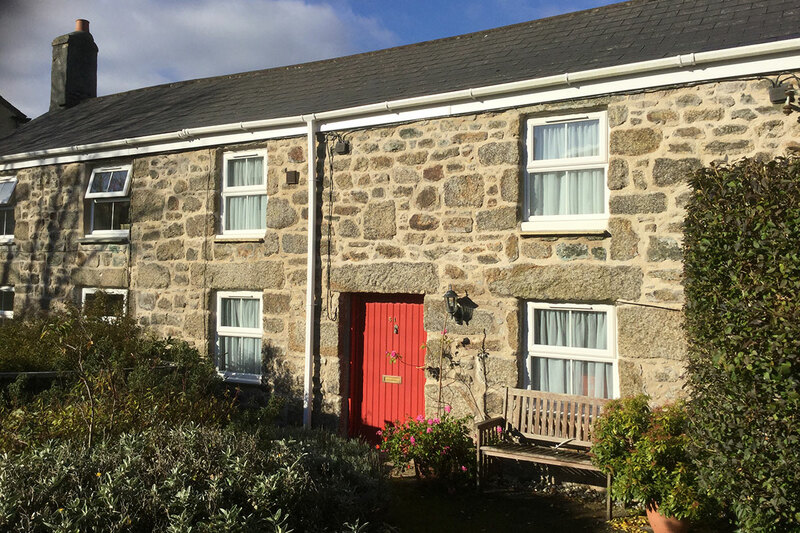 We have been renovating our old granite cottage for some years, and have inevitably required help from a number of different specialist services. Of all the company’s we have dealt with, few have come close to the level of service and professionalism we’ve experienced from Leslie and his Team. We were involved at each stage and kept fully informed. All the staff were very courteous and polite. 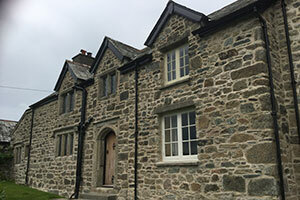 The company are totally used to working with older buildings which require lime and other breathable render. The materials and workmanship are of the highest standard, and are sympathetic to both the constructional needs and the looks of the building. The icing on the cake was a final invoice which was lower than the original quote, because some of the anticipated work was not actually required. We have no hesitation in recommending Leslie Cornell Building Restoration Ltd to anyone considering similar restorative work. Leslie Cornell Building Restoration Ltd were superb from start to finish! They were friendly, personable and professional. Their pricing was competitive and their professionalism exemplary. 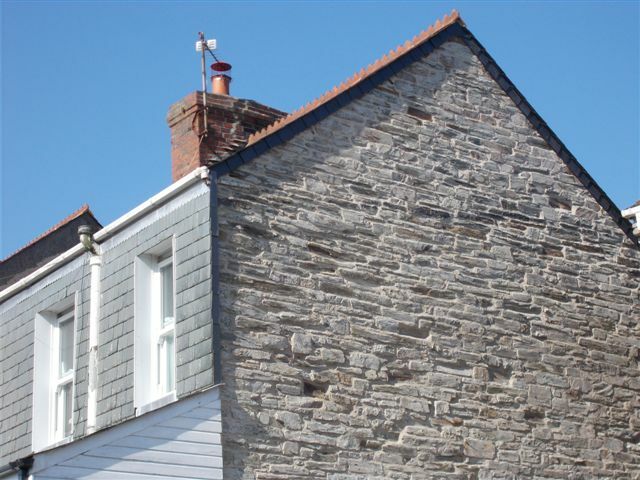 We would not hesitate to recommend them to anyone needing lime pointing. They have transformed the look of our property and the work has helped to eradicate damp! This year, we started our first renovation project. The upstairs walls were concealed with plasterboards but we could imagine what was hiding behind it. We discovered ancient stones walls, cob walls, beautiful chimney breasts and a lot of dust and crumbles. After weeks of worries, discussions and research, we finally found out what we needed. 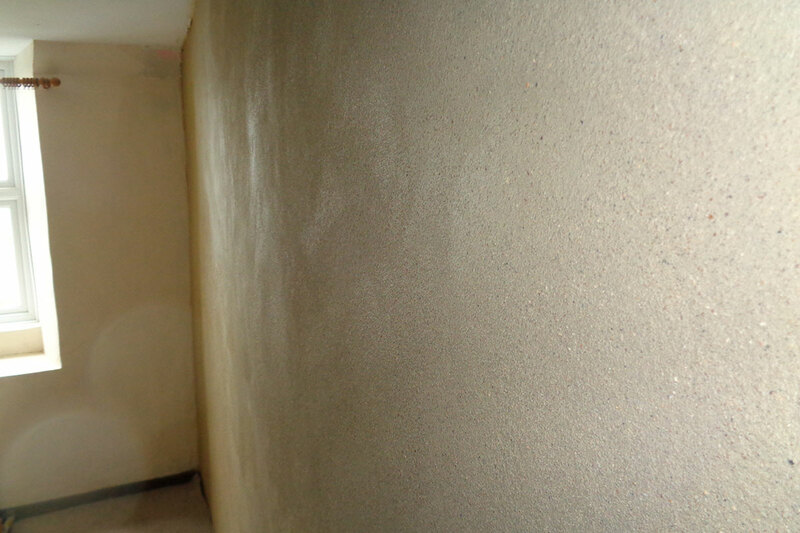 These walls were crying for Cob and Lime Specialists! Leslie came to visit us to assess the work. His confidence and knowledge was a breath of fresh air and exactly what we need. We could not wait for them to start the work. Leslie is driven by the quality of their work and customer satisfaction. The overall experience was the best we had from a trade company ever; on time, efficient, knowledgeable, polite and always very responsive. It was just great to see photos of the progress on site, uploaded every evening on the cloud. What a brilliant, open and honest way to communicate with your customers about progress. Their work has transformed our walls; exposed beams, re-pointed chimney breast, beautiful cob and lime plaster finish. Our cottage has now re-gained is full history and glory. They are Specialists. 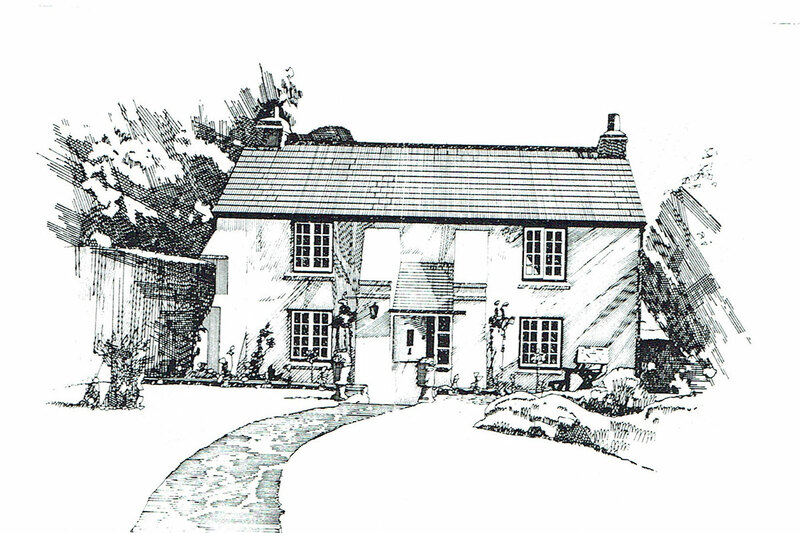 Dear Leslie, The shroud has been taken off the front of the farmhouse and we are delighted with its appearance. The stonework looks stunning thanks to your excellence of the lime re-pointing. We cannot stress enough how pleased we have been with the professionalism of you and your team. Not only are they hard working but they conduct themselves in a polite, respectful and cheerful manner. Having workmen on site can sometimes be awkward but your team were a pleasure to have around. Plus, their clearing up at the end of the day is second to none! Thanks to you all for a superb job. 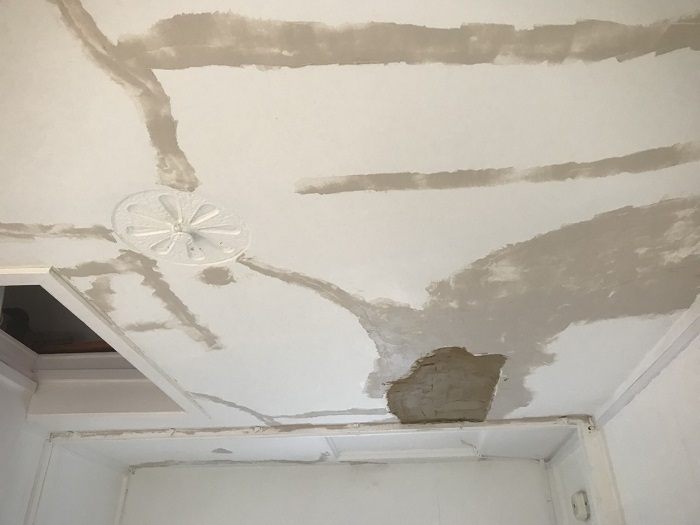 Dear Leslie and team, We are more than happy to provide testimony for the work you carried out to our cottage to cure a long standing damp and mould problem. 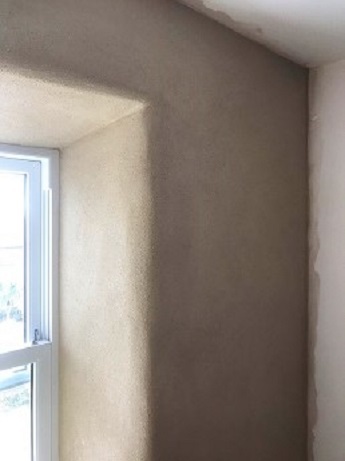 The work entailed removing existing cement render wrongly applied to interior and exterior cob walls then applying lime plaster render and installing a French drain. Unusual for a builder Cornells started on the agreed date,finished on time and within the agreed budget. Some extra work was willingly taken on and done at reasonable cost. On his initial visit Leslie impressed us with his knowledge and obvious passion for cob work and kept the amount of work to the minimum required to solve our problem. We were kept well informed of what was happening and why, all questions answered and phone calls promptly replied to. All staff (Shep being the exception) worked hard all the time including when the boss was not on site,were polite,friendly,no shouting or swearing,no radios or prolonged tea breaks,were enthusiastic about their work and a credit to the company. Health and safety rules were complied with. Each day the site was left clean and tidy and we had no security concerns about leaving the property with the staff on site. Whilst it is never a good time to be living in a house when it is being pulled apart Cornells kept the inconvenience to a minimum and were a pleasure to have around with a sense of humour on both sides. We are very pleased with the quality of work and the finished look and have no hesitation in recommending Leslie and his team. 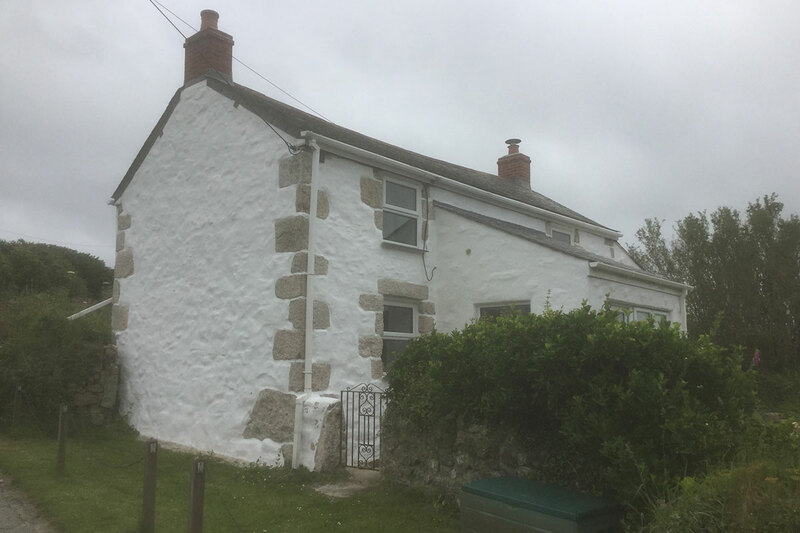 We bought a 200 year old stone cottage that had one of its exterior walls rendered in concrete, leaving it unable to breathe as originally intended. We contacted Leslie and he came to our house and gave it a thorough inspection and provided us with many ideas of how we could restore it back to its original form. 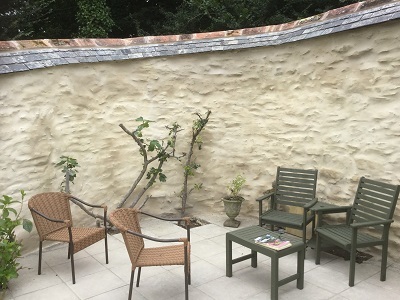 The first priority for us was to have the concrete render removed as this was exacerbating a damp issue in the stone wall. What became evident very quickly was the knowledge and passion that Leslie exuded when it came to restoration projects and we quickly decided that this together with the examples of high quality craftsmanship that we saw in his previous work meant that he was the right person for us to work with. 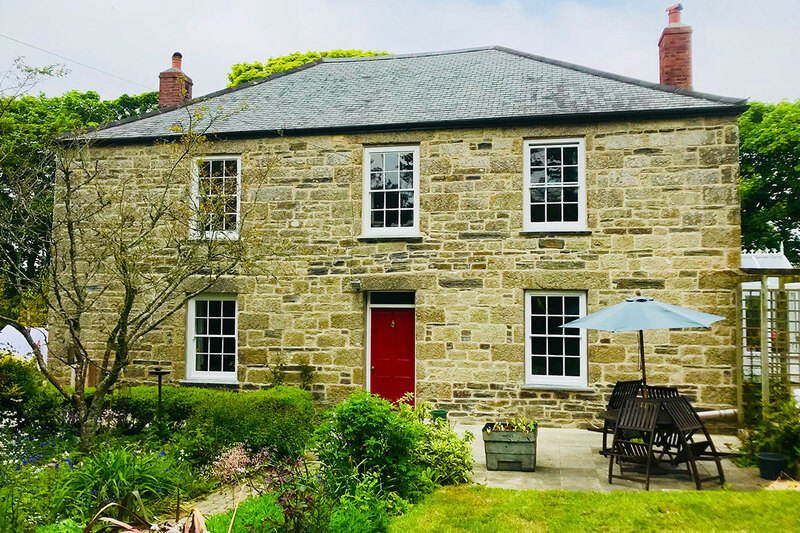 Within a week of accepting his quote Leslie and his team arrived on site and worked efficiently and effectively to remove the two storey render, using only hand tools as to preserve the integrity of the underlying stones. It was an absolute pleasure having Leslie and his team of passionate apprentices on site for the week. Every day the site was left clean and tidy and at the end of the project all the render was bagged and removed. They cleaned and washed the site so well you would hardly have known they were there. The exposed wall looks fantastic and we would not hesitate in using Leslie for future work at our home or recommending him for potential clients.